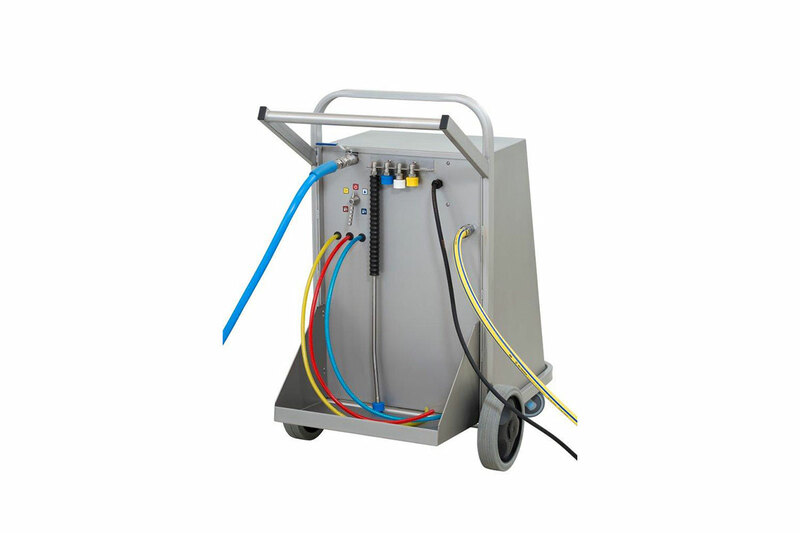 Mobile cleaning facilities | Sulbana AG – Käserei-, Hygiene- und Verpackungstechnik. 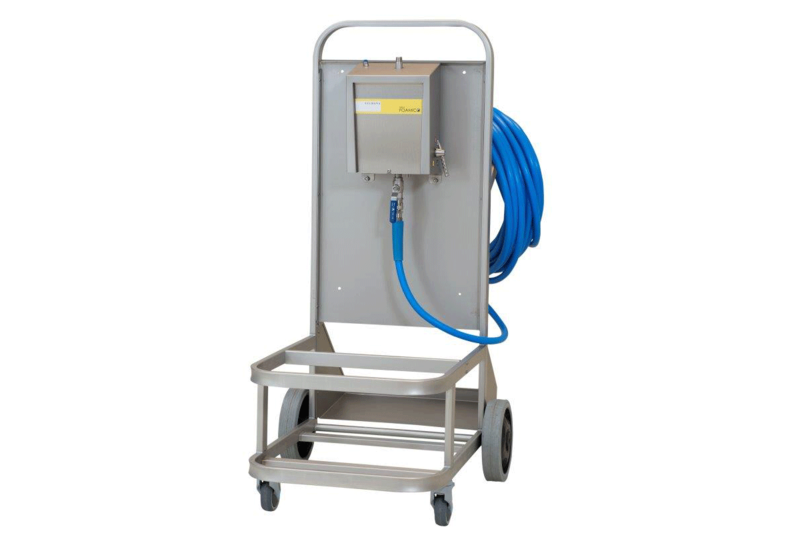 Mobile foam cleaning facilities with an integrated booster pump and air compressor for rinsing, foaming and disinfecting. 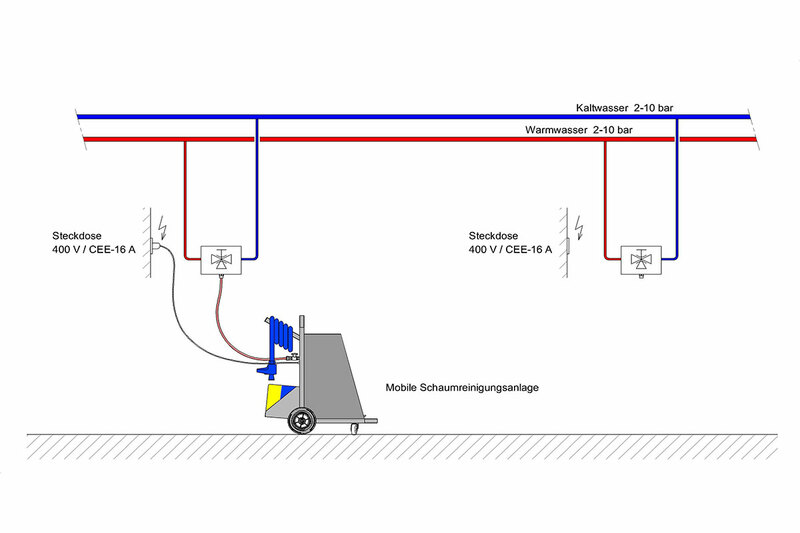 The connection to the water network takes place via a hose coupling and the electrical connection is achieved using a power cable and a plug. 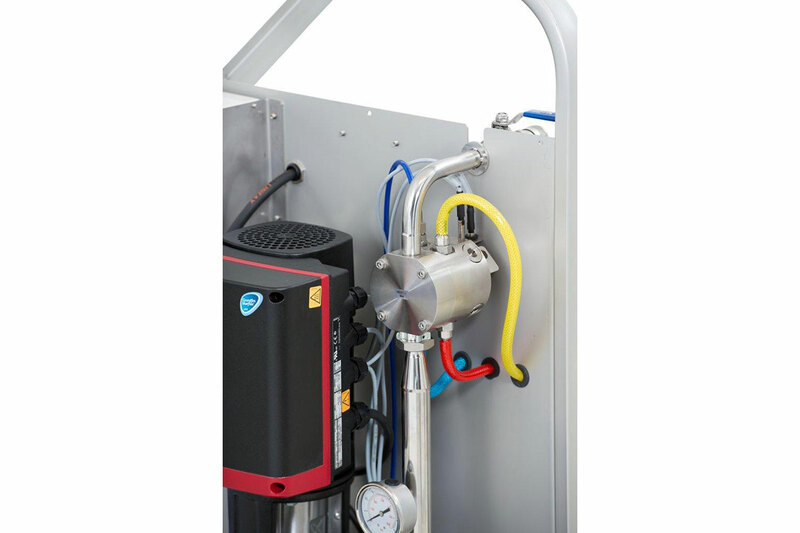 The facilities can also be delivered without an air compressor for an external compressed air connection. 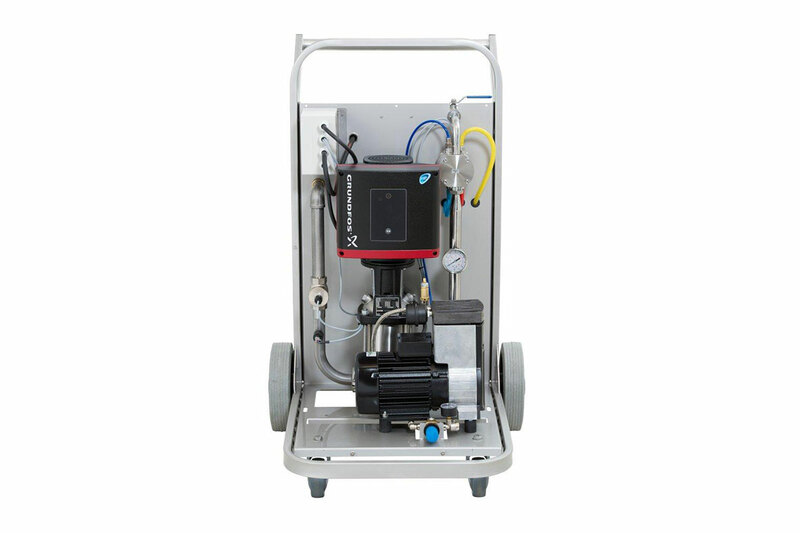 Booster system with central booster pump for providing any number of tap connections with water with increased pressure. 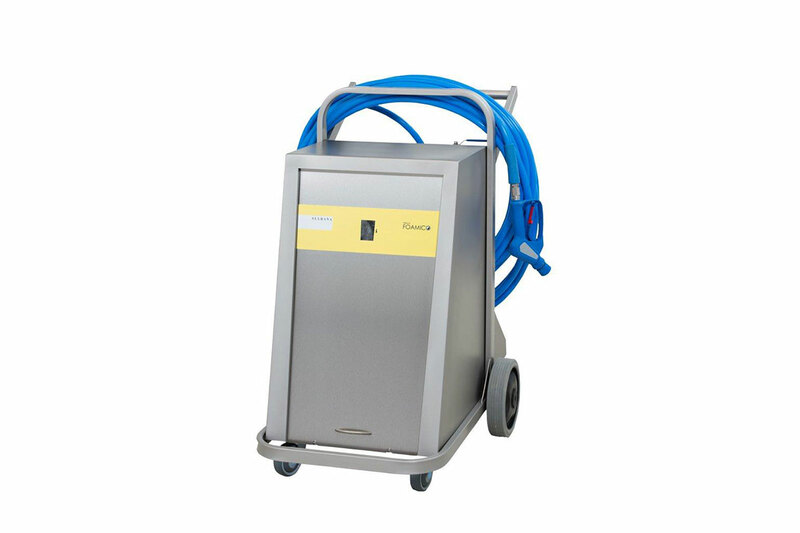 The size of the booster is determined by the number of simultaneous users of the cleaning system. 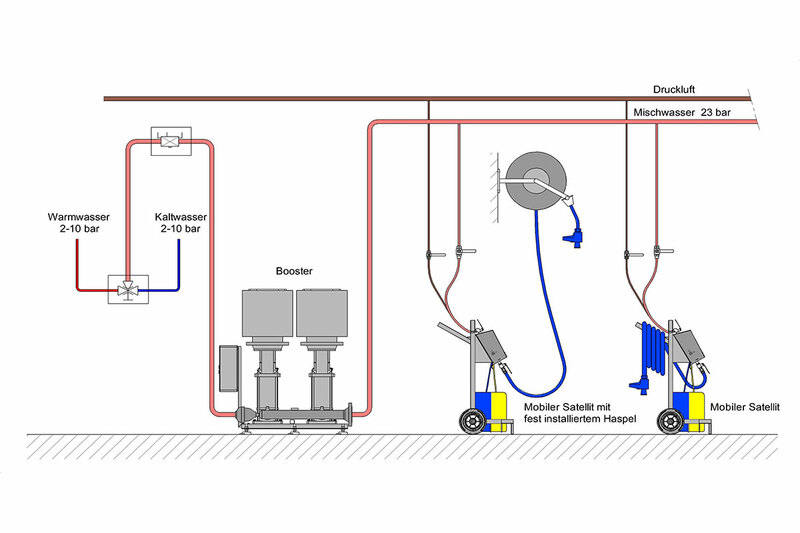 The mobile satellites are connected to the water network with increased pressure and the compressed-air line via hose couplings. 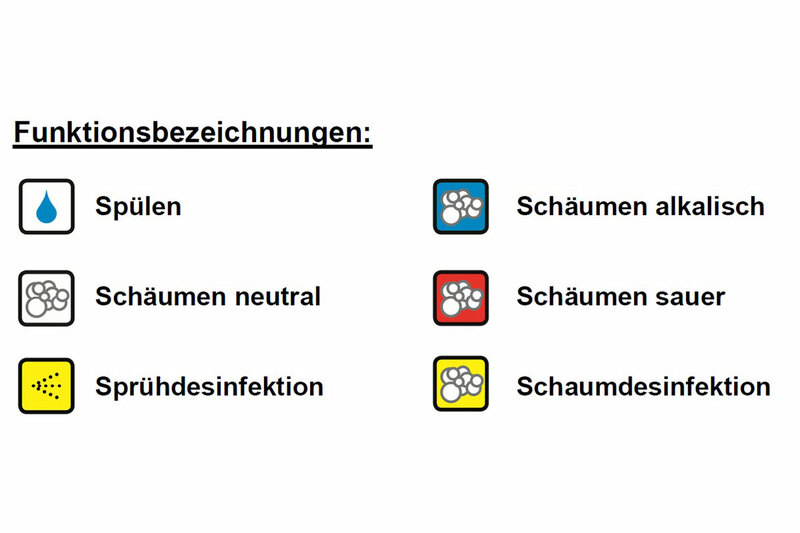 The cleaning staff can rinse, foam and disinfect independently of each other at the individual satellite stations. 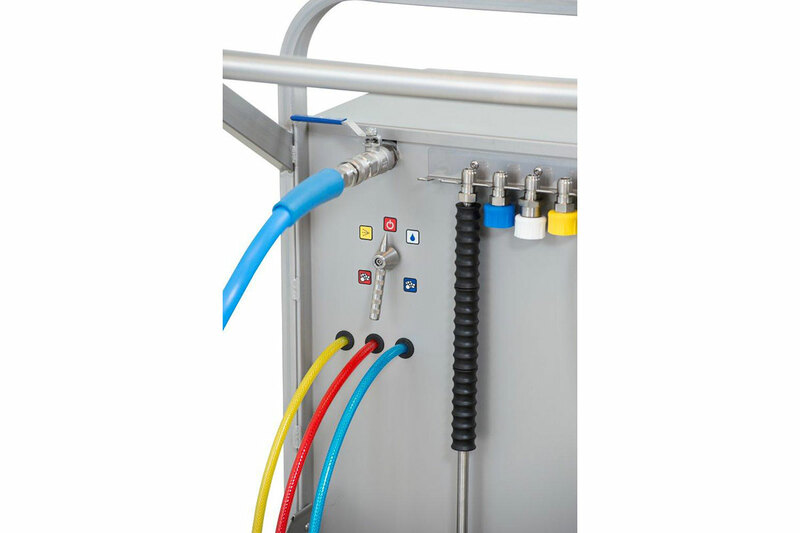 The tap connections can additionally be fitted with a hose reel for simplified handling of the cleaning hose.